Laties is a bitter, bitter man. He rails endlessly against book superstores and skewers publishers for allowing the giant retailers to dictate the new tenets of big book business, but, as he writes in his introduction, he's ""accused no one of illegal activity."" 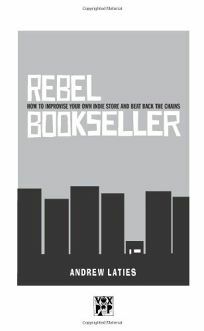 For 20 years, he's owned and operated independent children's bookstores in Chicago, and, in this book, shares much of what he's learned so, as the subtitle suggests, indie booksellers can not only survive, but, perhaps, thrive. However, he admits, much of his experience is irrelevant: ""I can tell anecdotes about what we did. Unfortunately, none of those approaches will work again, because they've been ripped off by chain stores. You'll have to do something completely new."" What he focuses on (and often distills into acronyms) are sound principles that apply to nearly any business: ADA (adapt, don't adopt), SMOWS (sell more of what's selling), the perennially obvious BLSH (buy low, sell high) and, naturally, be creative. The book alternates chapters between educational anecdotes and vitriolic rants, and though both are easy reading, the rants are where most of the fun (and dirt and tough-love business advice) is. Entertaining and heavy with Laties' experiences, his from-the-trenches account is a must-read for anyone considering opening an indie book shop.